An agent ended the interaction, but the disconnect reason says end-user. Why? If the agent ended the interaction from a headset instead of the PureCloud user interface, then the disconnect reason can appear as “end-user” because the system interprets the disconnect request as coming from an outside source. Are all PureCloud Voice calls billed regardless of whether they are answered by the customer? No. Only calls answered by the customer’s IVR system, an agent, or voicemail are billed. While groups and chat rooms are similar, they are not the same. When an admin creates a group, PureCloud automatically creates a chat room with the same name. The admin can later delete the group, but the admin cannot delete the associated chat room. Yes. If you are using PureCloud Voice in EMEA, you need to be aware that you will not be able to use PureCloud’s outbound dialing campaign feature in any of the dialing modes except Preview. This limitation is due to the fact that our EMEA carriers, serving organizations in the eu-west-1 and eu-central-1 AWS regions, are currently unable to handle the increased call volume associated with outbound dialing campaigns using the Power, Progressive, or Predictive dialing modes. Can data actions use XML rather than JSON? No. Data actions for the data actions integrations cannot transmit or accept XML. If you want the integrations to consume XML, Genesys recommends that you create an intermediary web service that can communicate with the XML endpoint. Can I attach files to an ACD email message? You can attach most types of files to an ACD email reply except for these unsupported file types. To attach a file, either drag and drop a file into the email reply field or select Attach a file and select a file from the browser window. For more information about attaching a file to an ACD email, see Work with ACD email. The maximum outgoing message size, including attachments: 10 MB per message (after base64 encoding). Note: Messages exceeding 10 MB, including attachments, will bounce back to the sender. Messages larger than 10 MB that you try to send from PureCloud will yield an error. You can work around this limitation by including links to larger documents stored in PureCloud Documents. For more information about sharing a file within Documents, see About Documents and Share a file. The maximum incoming message size, including attachments: 30 MB per message (after base64 encoding). You can block specific email addresses from sending emails to your agents. Create an email flow and add a Decision action to your starting state. Within the Decision action, use the Email Builder to check the email sender name for the unwanted email address or addresses. If the email address matches the list, configure the action to disconnect those emails. Transfer all other emails to the desired queue. For more information, see About inbound email flows and About email rules. Can I bulk download recordings from PureCloud? Currently, you can download one recording at a time from the PureCloud interface. For more information, see Download a recording. You can download up to 100 recordings at a time using the PureCloud API. For more information, see Recordings in the Developer Center. In the shift view, hover at the beginning or end of an activity. When the cursor changes to a two-sided arrow, click and drag to resize it, extending or reducing the activity length. For more information, see Set up shift activities. Can I change the default font that PureCloud uses for Chat? No, you cannot change the default font PureCloud uses for Chat. Can I change the logo that External Contacts displays for an organization? No. Using information in the organization’s website fields in External Contacts, PureCloud queries a third-party site for the organization’s logo preferences. To update their logo image, organizations must update their website code to indicate preferred image files. For more information, see Open Graph at Clearbit.com. Can I connect PureCloud to my MPLS network for BYOC Cloud voice traffic? No. MPLS connections to PureCloud for BYOC Cloud customers are not supported. BYOC Cloud uses public IP addressing for all voice connectivity. Any traffic between a customer’s environment to PureCloud would traverse a public network and not a private MPLS network for connectivity. Can I connect third-party chat clients to PureCloud chat? No. We currently do not support connecting PureCloud chat to third-party client applications such as Trillian, Adium, or Pidgin. Can I create a new location and keep the same main/emergency number as my existing location? No. Not while the number is still assigned to the existing location. You have to remove it from the old location first, so it can be added to the new location. This could be done in a maintenance window to reduce potential issues. Yes. You can create and configure multiple BYOC Cloud Trunks within a single organization. These trunks can connect to any variety of third-party carriers or devices. No. A chat message is permanent; you cannot delete it. Can I delete my call history in PureCloud? No. Records in your call history are permanent. You cannot delete entries from your history. Yes. Toggle the Open Admission switch to OFF in the Organization Settings. See Configure invite links. Can I download media capture logs? No. The log files generated by enabling the Media Capture setting are encrypted and only accessible by PureCloud Customer Care personnel. You should only enable the Media Capture setting when you are working with PureCloud Customer Care personnel. Enabling it generates a HPAA Packet File Format (HPAACAP) file that contains live packet streams that can be used for diagnostic and troubleshooting purposes. For more information, see Enable media capture. Can I enable voicemail on a standalone phone? No, PureCloud does not support voicemail for standalone phones. In Documents, you can replace an existing file with a new version of it. For more information, see About file versions. Can I make and receive calls when I am logged off of PureCloud? If you have a physical phone set as your default phone, then you can make and receive calls on that phone even if you are logged off of PureCloud. Ask your administrator if you are unsure which phone is your default phone. If you are an administrator and want more information about how to assign a default phone to a user, see Assign a default phone. If you do not have a physical phone set as your default phone and are logged off of PureCloud, then you can still receive calls to your phone number in PureCloud. Before you log off, enable call forwarding. PureCloud forwards any calls made to your PureCloud number to the number of your choice. No. PureCloud strives to provide a consistent and continuous experience for all users, so we do not maintain multiple versions. All users always have the latest version. For more information, see Continuous delivery model. Can I record an agent’s screen during non-ACD interactions? No, PureCloud can only record an agent’s screen during ACD interactions and, depending on the recording policy, after call work. Can I remove my email address from my profile? You can change your email address, and you can add email addresses, but your profile must always have a primary email address. No. Users in a personal chat room are members of that group as long as the chat room exists. You can close the original chat room with the cancel symbol to the right of the chatroom name and then create a new chatroom that includes only the desired users. Can I remove one-to-one and group chats from my chat list? You can close one-to-one and groups chats by clicking Close. Closing a chat moves that thread to your Recently Closed list, which keeps the most recent 20 threads you have closed. You cannot manually clear the Recently Closed list. Older chats fall off the list as you add newer ones. To route to a different location based on a word in the subject line, use the “Contains()” function in a Decision action. For more information, see Navigate an email flow. To route to a different location based on the domain-part of the sender’s email address, use the EmailAddressDomainPart() function in a Decision. This process might be helpful if you want to send help requests from internal employees to the employee queue, and requests from everyone else to the standard customer queue. For more information, see Navigate an email flow. Can I specify the time zone PureCloud uses to stamp voicemail messages in the inbox? Not in PureCloud. PureCloud pulls the timestamp information on messages in your inbox from your machine’s (or browser’s) location and time zone. This information is based on the Coordinated Universal Time (UTC) when the message arrives. Can I use a single call rule set with multiple rules in place of multiple call rule sets? It depends on how much you want to share across campaigns. The only reason to break up rules into different rule sets is if you don’t plan on using them all in the same campaigns. Example scenario: You created RuleA, RuleB, RuleC, and RuleD. You want to use RuleA and RuleB in all campaigns. You want to use RuleC only in CampaignA and RuleD only in CampaignB. In this case, it would make sense to create three call rule sets: One with RuleA and RuleB, one with RuleC, and one with RuleD. Can I use a trusted proxy certificate for content inspection with the Bridge Server? No. Because the security provided by the Bridge Server depends on mutual certificate authentication, the Bridge Server cannot support the use of intermediate proxy certificates. Can I use Amazon Direct Connect with PureCloud BYOC Cloud? Yes. You can work with AWS to leverage Direct Connect to improve connection quality. Direct Connect does not provide security but allows traffic to stay on the Amazon backbone. For more information, see Set up AWS Direct Connect for use with PureCloud. Can I use BYOC Cloud with BYOC Premises? No. You must have either a cloud-based organization or a premises-based organization. Yes. PureCloud BYOC Cloud can be added to existing or new organizations that use PureCloud Voice. For example, a PureCloud Voice customer may want to route certain calls to an IP-PBX. A BYOC Cloud trunk could be created between PureCloud and the IP-PBX and Number Plans, and Outbound Routes could be configured to deliver the appropriate calls to the IP-PBX by the BYOC Cloud Trunk rather than the PureCloud Voice PSTN trunks. Can I use SAML to create a single sign-on integration to PureCloud for my identity provider? PureCloud does not support custom Security Assertion Markup Language (SAML) integrations. As a SAML service provider, PureCloud uses a client integration strategy for SAML support and OpenID Connect Identity Providers (IdP’s). Instead of an open-ended approach that supports custom SAML integrations, PureCloud provides quick, client-side integrations to automate the authentication process with identity providers. This strategy limits the support burden on our developers and enables them to focus on new features for PureCloud customers. If PureCloud does not currently support your identity provider, let us know so that we can gauge market need and potentially add the integration. For supported single-sign integrations, see About single sign-on. Can I use the Call button without PureCloud Communicate? Yes, you can use the Call button without a PureCloud Communicate license (which integrates with your phone system). This button can also launch a phone call application like Skype. Click the Call button or a phone number from anywhere in PureCloud. First time only: Choose an application for handling phone calls. Exact instructions can vary depending on browser type. Note: This sets the default for the browser or the Desktop app. You can also set a default for your computer by associating a default calling application with the Tel Protocol in your operating system settings. Can PureCloud connect to another PBX? PureCloud can connect to any PBX that supports SIP. However, PureCloud cannot currently share data, such as status or prior input, with these PBXs. Can PureCloud for Chrome be used with other browsers? PureCloud for Chrome is not officially supported for use with other browsers. Setting callable times for callbacks only applies to campaign-related callbacks. This feature is not available for in-queue callbacks. You may decide to offer callbacks only during certain hours of the day. For example, between 9:00 AM and 2:00 PM. Configure this process in Architect by adding a Decision action before the Create Callback action. Configure the Decision action to check hours and then determine whether to offer a callback. For more information, see Create Callback data action. Can the PureCloud WebRTC phone alert use my computer speakers but the call conversation use my headset? Yes. PureCloud sends alerts, such as incoming calls, to your default computer audio. The PureCloud WebRTC phone sends call audio to the speakers of your choice. To choose default audio devices for your computer, use your computer’s controls. To change the audio devices used during a web-based phone call, use the phone settings found where you select the PureCloud WebRTC phone as your phone. A user can be a configuration object within a division. However, an administrator can also grant a user permission to access a division. It is important to note that moving a user into a division does not give that user access to the data within the division. The user’s data, such as profile information, is part of the division, and users who have the appropriate division permission assigned can access that data. For example, an administrator moves Danny Cho into the Raleigh division, but Danny Cho does not have permission to manage objects in the Raleigh division. He cannot access any configuration object within the Raleigh division; he cannot edit a queue, add a campaign, or delete a call flow. However, any user with the add, edit, view, or delete permissions to access users in the Raleigh division can modify Danny Cho’s user data. Can we call a web service running on a port other than 443? No. For PCI compliance, the service that executes web services data actions only communicates on port 443. Can we implement our own STUN/TURN server to proxy connections to PureCloud? No. There is currently no way to use a private STUN/TURN server. PureCloud leverages Google’s global network of STUN (not TURN) servers for faster and better NAT traversal. If you disable them, then you will experience broken or slow NAT traversal during the connection of features like video chat or WebRTC phones. Do data actions support mutual authentication of certificates? No. Data actions do not support mutual authentication. Do data actions work with services using self-signed certificates? No. Self-signed certificates are not recognized as trustworthy. Do out of service hardware Edges receive automatic Edge software updates? Yes. Edges in the Out-Of-Service state still receive automatic software updates. Automatic Edge software updates only require that the Edge is online. Do short duration calls and surcharges apply to outbound dialing calls? Yes, outbound dialing calls are subject to the same rules for short duration calls as all standard outbound domestic calls. Do short duration surcharges apply to inbound calls? No, short duration surcharges do not apply to any type of inbound call. Do short duration surcharges apply to outbound international calls? No, by default, the billing minimum for an international call is 30 seconds. Therefore, short duration call penalty does not apply. Do the PureCloud embedded clients allow users to click-to-dial on behalf of a queue? Absolutely! With PureCloud for Salesforce, PureCloud for Chrome, and PureCloud for Firefox, you can configure the Click-to-Dial settings to prompt users for queues when they click a phone or email link. PureCloud for Zendesk allows users to input a queue name before dialing a number from a phone link or sending an email from an email link. Does it matter what number is sent to E911? Yes. The number that is sent to the E911 operator as the calling number is not only for association with the correct address, it will also serve as the callback number for the operator should the call be disconnected. For that reason, it is best to use the caller’s own number if at all possible as that will allow any callback to be sent directly to the person needing assistance. This is configured by selecting Use as the ANI only if the phone or user doesn’t have a phone number Location option. If your agents do not have individual numbers or if those numbers are not reachable externally, then the ELIN should be used. Because the number will serve as a callback contact for Emergency Services operators, it is highly recommended that the ELIN be a number associated with a phone in the same physical location, such as a front desk or security desk. It is NOT recommended to use an IVR number as an ELIN as an operator performing a callback will not be able to reach the actual person needing assistance. Does placing a call on behalf of a queue affect standard ACD routing? The manually-dialed outbound call on behalf of queue queue counts as resetting the agent’s counter for time since last interaction. For the purposes of ACD calculations, it behaves the same as an inbound ACD call. Does PureCloud offer PCI DSS compliance? Yes. For more information, see PCI DSS compliance. Does PureCloud offer security features to detect and prevent SIP-based and VoIP vulnerabilities? Yes. PureCloud has a proprietary border controller that supports (MTLS/SRTP) to allow encryption and authentication of signaling and media traffic. Features also include ACLs to limit IP endpoints, Rate Limiting for Denial of Service attacks, SIP digest authentication, and dialing rights validation to prevent outside toll fraud. Does PureCloud support group SMS? Not at this time. If an end user sends a group SMS, then the agent only sees a message from the originator of the message. PureCloud sends responses from the agent only to the message originator, not all participants in the group message. If a different user in the group message responds, then PureCloud starts a new conversation. Not at this time. Agents cannot send media in messages. If an end user sends media in a message, then the agent receives an indication that a media attachment was removed. If a user sends only media in a message, then PureCloud notifies the agent that the message has no content. Yes, but there may be issues with video chat and softphones. For more information, see PureCloud system requirements. Yes. PureCloud Voice supports the Enhanced 911 service (E911). E911 services are automatically included as part of the Genesys Telecom US VoIP services. While the E911 services provide a means of emergency dialing, you need to be aware that because E911 services are Internet-based, and as such are different than traditional 911/E911 services. More specifically, E911 service may be limited or unavailable under certain circumstances including, but not limited to: a power outage or broadband (Internet) service disruption (regardless of cause), use of a non-native telephone number, failure to successfully provide a valid, current address, or delays or interruption in the transmission of your geographic location. As a backup, you should strongly consider obtaining a PSTN connection from the local exchange carrier or similar provider. Does the time zone in a callable times set reflect the time zone’s local time or the call center’s local time? When you configure the time zone in a callable times set, you define the time that the campaign can call a time zone during that time zone’s local time. For example, if your local time is Eastern time and you created a callable time set to dial from 1pm to 2pm Central time, then campaign can start dialing at 2pm Eastern time (1pm Central time). How are attributes different than tags? Attributes allow admins to standardize how files are organized across workspaces throughout your org. Only admins create attributes. When a user assigns an attribute to a file, the user specifies the file-specific value for the attribute. Tags allow each user to organize files the way that is meaningful to them. Tags are created by admins and by users. How are faxes sent and received in PureCloud? When a user sends a file as a fax in PureCloud, the file is uploaded to AWS. AWS converts the file into a .tiff file format and sends it to the PureCloud Edge. The Edge then sends the fax to the user-entered number using your SIP trunks. If the file did not originate in Documents, PureCloud also stores the original file in its original format in the user’s workspace in Documents. For information about how to send a fax from PureCloud, see Send a fax. Since a user has the same number for both incoming calls and faxes, the Edge must detect whether an incoming call is a voice call or fax. If fax detection is enabled and the Edge detects incoming fax tones, negotiates the T.30 transmission, receives the image data, and sends it to AWS as a file in .tiff format. AWS converts the fax to a .pdf file and sends it to the user’s inbox and workspace in Documents. For information about how to view received faxes in PureCloud, see View faxes in the inbox. PureCloud transmits faxes using T.30 protocols with a maximum transmission rate of 14.4k. The trunks carrying faxes should use audio/PCMU (G.711) as their primary codec. For more information about configuring a trunk and setting the codec, see the “Set the audio codec preference and media method” section in Create an external trunk. How can I check for outages, availability, and the system status of PureCloud? Click the link below for PureCloud’s operational, system availability, incident, and outage information. Use the Subscribe to Updates button to receive status updates through email, SMS notifications, or RSS or Atom feeds. The PureCloud desktop app notifies you when a new version is available to download. However, you can check to see if any new updates are available in the desktop app menu. Click the PureCloud icon in the menu bar and select Check For Updates. You can also check the Windows desktop app release notes and Mac desktop release notes for the newest version and the improvements and fixes included in that version. How can I create a flow that takes different paths depending on the holiday day? Save the specified day as a datetime variable like Task.thanksgiving. Use a decision action and compare the today’s year, month, & day to Task.thanksgiving. You might also want to check the hour/minutes if that’s needed. For more details, download and import this Thanksgiving Schedule Example into Architect. How can I determine the version number of an Edge Standard from within PureCloud? The Edge Standard comes in three versions: v1, v2, and v3. While Genesys no longer sells the v1 or the v2 version of the Edge Standard, we still provide support for these appliances. Select the check box for the row that contains the Edge Standard you want identify. On the General tab, access the Information panel, and locate the Serial Number. If the serial number begins with the letters CCP, then it is a Edge Standard v1. If the serial number begins with any other letters or numbers, then it is either a Edge Standard v2 or a Edge Standard v3. To determine whether it is a v2 or a v3, take note of the serial number, go to the Hewlett Packard Enterprise Support Services Central site, and enter the serial number when prompted. If the result is HPE DL60 Gen9, then you have a Edge Standard v2. If the result is HPE DL360 Gen10, then you have a Edge Standard v3. To receive voicemail, a user must have the Voicemail > Voicemail > Receive permission enabled. This permission is assigned to the Communicate – User role by default. If a user is assigned the Communicate – User role, the voicemail option should appear. If the voicemail option does not appear, see Products, roles, and permissions list for instructions on how to add the voicemail permission. You can also add the Voicemail > Voicemail >Receive permission to other roles. To view your voicemails, see Access your voicemail. How can I improve the quality of the hold music I import? When you import a music file, the conversion process can negatively affect the quality of the music. For example, playback volume may increase or decrease, compromising the sound of high or low tones. To improve audio quality, before you import convert the audio file using an audio editing program. This example describes using the Audacity freeware program. Launch Audacity and open the audio file. When presented with import options, choose to make a copy of it before editing. Change the project rate to 8000 hz. Change the volume to at least -10 db. Export the file (Export > Export as WAV). The file saves as type WAV signed 16-bit PCM. How can I include a hyperlink in a response? To include a clickable hyperlink in a response, type the complete URL. Alternatively, copy and paste the URL from a webpage. The link automatically appears as a clickable hyperlink when the customer receives the response. How can I make my files easy to find later? When you upload files, be sure to add tags to them. You can also add attributes to files after you upload them. For more information, see About tags and About attributes. The Edge Mini and the Edge Micro are physically identical in that they both use the same chassis. To tell them apart, you can check the model number found on the sticker on the bottom of the chassis. For more information, see About Edge hardware. How can I quickly determine if I am affected by the TURN server port range deprecation? On February 27, 2019, Genesys announced that we are deprecating the TURN server port range 49152–65535 effective May 31st, 2019. 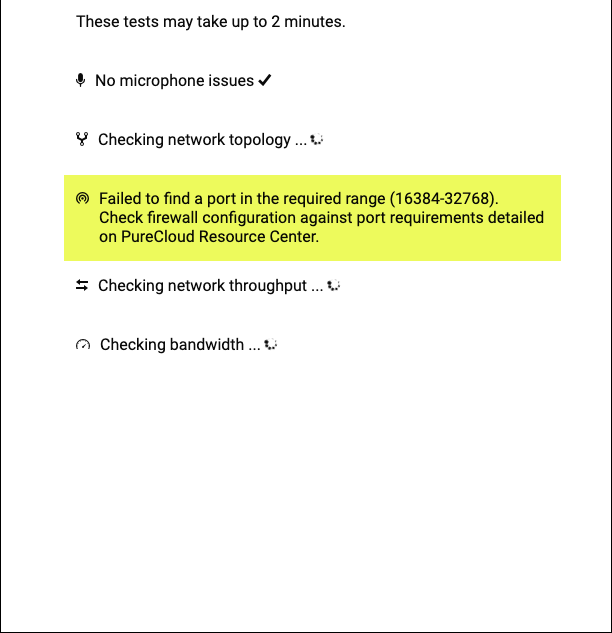 Going forward customer firewalls placed between WebRTC clients and PureCloud must be configured to allow for connectivity in the 16384–32768 port range. For more information, see Deprecation: TURN port range. 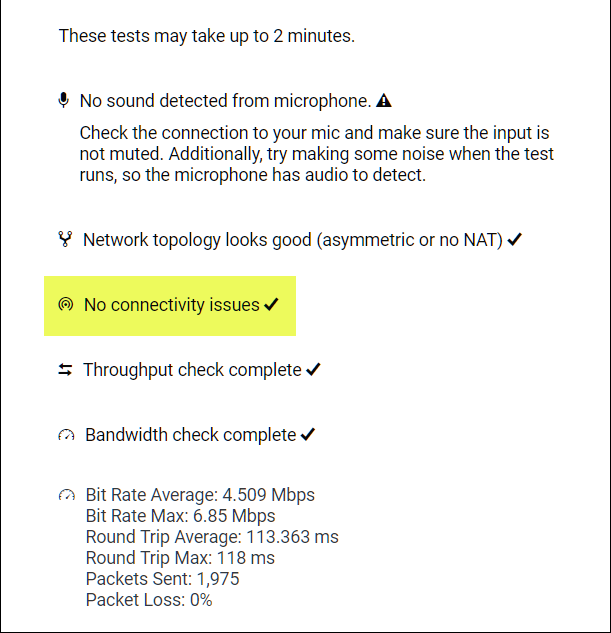 To quickly determine if you are affected by the TURN server port range deprecation, you can run the WebRTC with Audio (Default) test on the PureCloud WebRTC Diagnostics app. For more information, see Run the PureCloud Diagnostic app. When the test is complete, take note of connectivity section of the onscreen results. If you see No connectivity issues, then your TURN server port range is properly configured and you are all set for the deprecation. NOTE: you may still need to make sure that the port range 32769–65535 is closed on your firewall. If you see Failed to find a port in the required range (16384–32768), then you need to reconfigure the TURN server port range of your company firewall so that the 16384–32768 port range is open and the 32769-65535 port range is closed. Go to Admin > Telephony > Trunks. In the Line Recording section, check the Enabled box. See Create an external trunk. To tell us about a problem in PureCloud, select Contact Support from the expanded Help menu. For more information about PureCloud Customer Care and the Help menu, see the PureCloud support and feedback article. Add the Conversation > Fax > Send and Conversation > One Number Fax > Receive permissions to the user. No default roles include these permissions, so add them to a new or existing role and then add that role to the user. For more information about roles and permissions, see Products, roles, and permissions list. How can I view data about my PureCloud usage? You can download your usage reports to see details about prior usage. For more information, see Download your usage reports. Anyone with the appropriate permissions can see evaluations, so it depends on what permissions your managers have. To see evaluations, you need the Quality > Evaluation > View permission. If your managers have the PureCloud supervisor role with default permissions, they can view evaluations through the Agents Evaluation Summary or Agents Evaluation Detail views. By default, the PureCloud Supervisor role includes the first two permissions. You can either add the last permission to the PureCloud Supervisor role or create a new role with that permission and add all of your managers to that role. For more information, see Quality management roles and permissions. Whether agents are active, inactive, or deleted does not impact metrics in reports and views based on queue metrics. The Interactions view, Queue Performance Summary view, and Queue Performance Detail view even allow you to filter by specific active and inactive users. Only active agents appear on agent-based views, such as the Agents Performance views. For agent-based reports, such as the Interaction Details report, you can select only active agents when you create a new report. However, if you already selected an inactive or deleted agent on a report while the agent was still active, then that agent still appears on the report when it runs. For more information about inactive and deleted agents and users, see Add people one at a time and Remove someone from your organization. You add files to a workspace by uploading them from either your desktop or mobile device. For more information, see Add files to a workspace. From the Edit Mode in your profile, click the camera icon on your profile picture. For more information, see Add a profile picture. In the Edit Mode, edit a section in your profile. Type the tag in the Add field. Then press Enter or select a tag from the suggestions that display to add the tag. For more information, see Add tags to your profile. If you know your current password but want to change it, use the Preferences menu. For more information about changing your password, see Change your password. 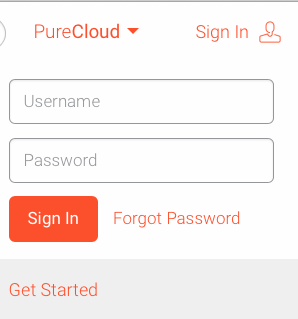 If you forgot your PureCloud password and cannot log on to PureCloud, reset your password from the login screen. For more information about resetting your password, see Reset your password. How do I configure managed phones for FENT? Click the link below to configure managed phones under the FENT (Far-End NAT Traversal) deployment model. You create a PureCloud BYOC Cloud trunk from the Admin > Trunks UI in PureCloud. For more information, see Create a BYOC Cloud trunk. Members of an organization must have permission to create groups. For admins, see Create groups (admins). For non-admins, see Create groups (non-admins). Note: By default, non-admin users do not have permission to create groups. If you think you should have permission to create groups, contact your PureCloud Administrator. If you are experiencing some sort of conflict/problem with a certain version of the phone firmware, please contact PureCloud Customer Care. See PureCloud Customer Care phone support. To export Edge logs to USB memory use the LCD menu path Settings > Diagnostics > Media State > Copy All Logs to E:. 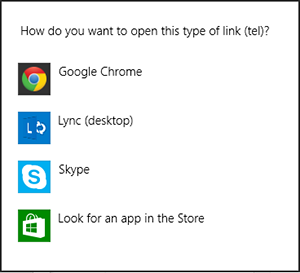 Use this option to download Edge logs for support, when the Edge is offline. Open the flow for which you want to enable company directory support and in the flow’s Settings area, select Speech Recognition. In the Speech Recognition design area, under General Speech Settings select the Enable company directory speech recognition for all menus check box. Your Documents repository is designed to hold a lot of files. The more you use it, the bigger it becomes. To help you find your files, Documents provides several sophisticated tools. You can also search based on the tags you assigned to the file. See Use content tags. With the full-text search feature, you can search the text in images and PDFs (among other things). For more information, see Full-text searching overview. How do I find courses in Portugese? General PureCloud training is available on PureCloud Training. How do I find Japanese training? How do I find my organization ID? Choose Admin > Account Settings> Organization Settings. PureCloud displays your organization ID. You can find out what firmware version a phone is running by checking the phone information panel on Phone Management’s Phones tab. For more information, see Get details in the phone information panel. PureCloud Chat supports simple markdown for formatting text in chats. See Format text in chats for more information. Some premium apps in AppFoundry link to help topics in the PureCloud Resource Center. Beyond that, support is provided in accordance with the sales model used to purchase the app. See Genesys AppFoundy sales models. How do I get the conversation ID? The conversation ID is a unique identifier for each interaction in PureCloud. This ID is required by PureCloud Support for most Severity 1 tickets. See Get a conversation ID for Support. Only group owners can add or remove members from an official group. For more information, see Join or leave a group. You can use the flow size indicator to check flow size. For more information, see Architect flow size. How do I know when to assign an attribute to a file? Your admin tells you which attributes are available and when to use them. How do I locate my Edge IP address? Click the appropriate Edge name. From the sidebar, click your profile picture in PureCloud to access user settings, and then click Logout. When you set a shift’s start time, you can optionally allow for flexibility in the shift’s starting time. If you configure flexible start times, you can preview the shift at each incremental configured start time by clicking the left and right arrows under Preview shift at. For more information, see Set up shift activities. How do I purchase BYOC Cloud? Use the report editor to schedule a report. You can choose how often to run a report, such as daily, weekly, monthly, or other intervals. For more information, see Configure a report. Click the link below for comprehensive instructions on setting up the PureCloud WebRTC phone in your organization. To turn off chat notifications for a single group chat room or for all group chat rooms, see Set chat preferences. You still receive notifications for direct messages and mentions when chat notifications are off. To turn off all desktop notifications, including chat notifications, see Change browser app settings, Change Windows desktop app settings, or Change Mac desktop app settings. You can unshare a document from your My Workspace. For more information on unsharing a document, see Unshare a file, in Share a file. Update your location in the Location section of your profile. See Add your location. When a phone is provisioned or rebooted, PureCloud automatically updates the phone to the latest version of PureCloud-supported firmware. You reboot a phone from within PureCloud by using the Restart Phone button in the phone information panel. See Get details in the phone information panel. PureCloud also automatically updates the phone to the latest version of PureCloud-supported firmware during a site update. After you delete a queue, you can still access its past interactions and listen to recordings for calls placed in the deleted queue. Deleting queues does not impact metrics in reports and views based on agent or other metrics. Deleted queues do not appear on the queue-based views, such as Queues views. In other views, the deleted queue and related data appear without the queue name. Instead, those views display the queue ID number or Deleted Queue. For example, a deleted queue’s data still displays as a row in the DNIS Performance view, but, instead of the queue name, the queue ID appears in the row. You also cannot click the queue ID for more information. For queue-based reports, such as the Queue Metrics Daily report, you cannot select deleted queues when you create a new report or edit a report. However, if you already selected an inactive or deleted queue on a report before the queue was deleted, then that queue still appears on the report when it runs. If you edit a report that contains a deleted queue, PureCloud removes that queue from the report queue field and no longer includes it when the report runs again. You can still query the API for metrics from deleted queues. For more information, see Analytics in the Developer Center. For more information about how to delete a queue, see Edit or delete queues. Your mobile phone’s location is “primary” when you are using multiple Collaborate clients. If you are logged into multiple Collaborate clients, for example, the web browser app on your work computer, the desktop app on your home computer, and the mobile app on your mobile phone, the most recent location update from the mobile app is reported. If you are not logged into the Collaborate mobile app on your mobile phone or if the location on the mobile phone timed out after the one hour timeout period, the most recent location update from the last computer that you used is reported. Note: Android phones report location when the app is foregrounded, backgrounded and terminated (swiped out); iOs phones report location when the app is foregrounded, but not when backgrounded or terminated, due to battery drain. How does phone redundancy work? PureCloud phone redundancy operates as an active-active configuration. When a phone provisions and gets its configuration from an Edge, it registers simultaneously to both homed Edges. Once the phone has registered to both Edges, it uses the primary Edge to place and receive calls. If the connection between the primary Edge and the phone goes down, calls switch to the secondary Edge. It does not matter whether the call is made from the PureCloud user interface or from a hardware phone. Both calls operate in the same manner. All SIP and Media signaling also switches to the secondary Edge. When the primary Edge does come back online, all signaling switches back to the primary Edge. How does PureCloud address GDPR? How does PureCloud handle email marked as spam? Email can be true spam or incorrectly marked as spam. PureCloud leverages Amazon SES to receive and send email. Amazon SES has various measures in place to detect spam emails and also to detect emails that may contain viruses. Amazon SES provides both spam detection and virus verdicts to PureCloud. If the Amazon verdict indicates that the email is spam or may contain a virus, PureCloud disconnects the message and never delivers it to an agent. Spam email is currently visible in some supervisor dashboards and views and will soon be available in all supervisor dashboards, views, and interaction timelines. How does PureCloud handle retry attempts for callbacks? To retry a callback, the agent must manually reschedule each attempt. How does PureCloud handle SMS messages with unicode characters? One trunk connects to a premises IP-PBX. One trunk connects to an international carrier. One trunk connects to a local carrier. To ensure that dial strings are matched against patterns, be sure to properly configure your number plan and outbound routes. When properly configured, PureCloud Edge and Media Tier select the appropriate trunk for each call. For more information, see Create an outbound route, and Add a number plan. How long does it take a PureCloud Edge to reboot? An Edge takes an average of between five to fifteen minutes to reboot. How many canned responses can I have? For each canned response library, you can have 200 canned responses. How many External Contacts can I have? Is there a limit? If you need more managed entities, contact PureCloud Support. How many groups can exist in my org? You can have as many groups as you want. How many libraries of canned responses can I have? You can have up to 200 libraries of canned responses. How many people can I add to a group? You can have as many members as you want in a group. You can specify up to 4 phone numbers. For more information, see Edit contact information. How many seconds before a data action times out? Data actions in test mode, in Scripter, and through the API time out after 10 seconds. Data actions in call flows time out after 60 seconds, unless overridden in the call flow. How many sites can connect to PureCloud? There is no limit on the number of sites that can connect to PureCloud. We recommend placing two Edges in the site that has your telephony services. How much bandwidth does screen recording require? A single screen recording typically requires 150-250 kbps. Screen resolution and the amount of on-screen movement affect the amount of bandwidth required. In the United States, PureCloud collects and displays the city and state you are currently in. International location displays are similar. We do not share your exact location. How often is location data updated? Your reported location updates hourly. How to I determine which phone is registered to a particular user? You can find out which phones are registered to particular users by using the In Use By filter on the Phones tab in Phone Management. For more information, see Phone management column filters. The division in which the object currently belongs. The division into which you want to move the object. I only have a Communicate license. Can I set up a call flow in Architect? You can set up a basic IVR with a single Communicate license. Users with a Communicate license have access to inbound call flows only. Outbound call flows, in-queue call flows, inbound email flows, and secure all flows require license upgrades. Available call flow actions (for example, Transfer to ACD) are limited. Each Communicate seat includes 500 basic IVR minutes. You may not have appropriate permission to access certain divisions. From an admin perspective, objects outside these divisions are not accessible. Between two supervisors in a single division, metrics shown in this view or any other performance views may differ. PureCloud does not automatically cancel the callback. Best practice recommends not setting agent utilization that allows callbacks to interrupt calls. This configuration may create a situation in which real-time calls are answered before a callback is placed, thereby preventing the position in queue from being held. If utilization is set to prevent calls from interrupting callbacks, and both calls and callbacks go through a single queue, the system attempts the callback before the caller reaches an agent. In that situation, the customer’s phone line may be busy and the callback will not succeed. This situation may result in the agent rescheduling another callback and then receiving the call from the customer, which leaves the rescheduled callback in the queue. If multiple queues exist, the customer could possibly reach an agent before the agent places the callback. If the customer reaches an agent and the callback is still in queue, the system continues to route the callback to an available agent. If I change the location associated with a site, will this temporarily impact my service? No. Changing the location associated with a site will not impact service. But it can take several minutes for the address change to propagate to Emergency Services. If that is a concern, the action should be taken during a maintenance window. If I create a new location and use the same main/emergency number, will Emergency Services be apprised/aware of the address change? Yes. Emergency Services updates are handled automatically by PureCloud. If I create a new location, should I then delete my existing location? If you are no longer using a location it can always be removed. Emergency Services is updated automatically. If the Edge appliance fails, can I make or receive ACD or non-ACD calls with N+1 redundancy? Yes. Redundant Edges allow you to place and receive both ACD and non-ACD calls after the active Edge in an N+1 Edge arrangement fails. The phone redundancy feature registers and assigns phones to both a primary and secondary Edge. If the primary Edge goes down, the phone switches to the secondary Edge to place and receive calls. The phone capability switches almost immediately. It takes up to 15 seconds to place or receive calls with the PureCloud user interface due to the timing window required for the Edge to cloud heartbeat messages. Caution: You lose all currently active calls when an active Edge fails. Note: Redundant trunk and gateway connections between Edges are required. If the Edge appliance fails, does IVR continue to work with N+1? Yes. Each PureCloud Edge appliance in an Edge group holds a cached version of the IVR in memory. If the Edge cannot connect to the cloud, are call events lost? If the Edge appliance is working but the connection to the cloud goes down, the call updates sent from the Edge to the cloud are interrupted. The Edge continues to write call events to the Edge disk during the interruption. When the connection to the cloud restores, the Edge sends all the missed call events and recordings to update the cloud, and PureCloud displays the correct current call status. If the Edge cannot connect to the cloud, can customers leave a voicemail message? Yes. The Edge provides basic ACD routing capability even when the Edge cannot connect to the cloud. If the Edge cannot connect to the cloud, can I make or receive non-ACD calls? Yes. All internal and external calling works. However, you cannot use the PureCloud interface to place or answer calls. You must use the controls on the phone itself to perform these operations. For example, you press the physical mute button on a hardware phone or click the mute button on softphone software. If the Edge cannot connect to the cloud, can I use the PureCloud interface to make calls? No. You cannot use the PureCloud on-screen call control options, such as mute or transfer, while the screen is frozen. When the connection to the cloud restores, the PureCloud on-screen call control options become available again. If the Edge cannot connect to the cloud, do line recordings continue? Yes. Line recordings continue, but are saved to the Edge’s hard disk instead of to cloud storage. The Edge continues to save line recordings to the hard disk until the Edge restores connectivity or it depletes the available storage capacity of the hard disk. Once the Edge restores connectivity, it offloads the saved recordings to the cloud. If the Edge cannot connect to the cloud, is IVR still available? Yes. The PureCloud Edge appliance holds a cached version of the IVR in memory. The cached IVR is used when the Edge cannot connect to the cloud. Note: A specific call flows correctly only if the cached IVR has successfully downloaded all the files necessary to traverse the expected call flow. For example, if there hasn’t been a call into a particular menu before the Edge goes offline, and a new call is trying to go to that menu after the Edge goes offline, the call flow may not occur because the files download on demand. Make sure to program call flows with proper failure paths for when a data-dip or similar action fails. If the Edge cannot connect to the cloud, what does the PureCloud interface display? The PureCloud interface freezes and displays the state that was occurring when the Edge appliance lost connection to the cloud. For example, if you are on a call then the PureCloud screen continues to display an ongoing call. When the connection to the cloud restores, the screen updates to display the correct call status. Call control will continue to display but the operations will not be performed until connectivity to the PureCloud Edge’s is re-established. Note: This assumes that the client is still connected to PureCloud. In the event that the client connection is lost as well, all call control must be performed on the phone (if using a PureCloud web-based (WebRTC) phone, the call will be disconnected). In reports, when can I expect to see updates for contact list names, queue names, user names, and wrap-up codes? If you change a contact list name, queue name, user name, or wrap-up code, then it can take up to four days to see those changes in future reports runs. Reports that PureCloud has already generated do not update. Is BYOC Cloud PCI DSS Compliant? No. BYOC Cloud is not yet PCI DSS Compliant. Is BYOC Cloud the right solution right for me? You want a cloud-only solution. You want to leverage your existing carrier relationship. You want to integrate with a third-party device, such as an IP-PBX. Is BYOC PCI DSS compliant? Yes and no. BYOC Premises is PCI DSS compliant, but BYOC Cloud has not yet been validated for PCI DSS compliance. Caution: Using non-PCI DSS-compliant services to store, process, or transmit cardholder data is not covered under the terms of the PureCloud license. Is the agent’s screen recorded during a consult transfer? Yes. If a screen recording policy applies to the current interaction, then the agent’s screen during the consult transfer is recorded. The consulted agent’s screen is only recorded if a screen recording policy applies to that agent. Is the history of my locations stored? PureCloud stores only your latest location and only for one hour. Is the subject line for interactions in PureCloud for Salesforce customizable? No. Currently, the subject line is not customizable. Agents can manually override subjects, but changing subjects is not good practice. Most call centers train their agents not to change subjects on interactions. Usually. The integrations create subject lines for interactions when the interactions connect. However, if an outbound call disconnects before the external party picks up, the activity record (in Salesforce) would not contain a subject. Yes. Most SMS messages have a limit of 160 characters. If an agent types a message that is more than 160 characters, then PureCloud automatically breaks it into multiple SMS messages. In this situation, PureCloud reduces the character limit per message to 153 characters to make room for a header to reassemble the messages at the receiving end. Unicode characters require more space, and therefore have a lower character limit. For more information, see How does PureCloud handle messages with unicode characters? The agent interface shows the remaining character count and how many messages will be sent. A single message entered by the agent can be split into a maximum of 10 messages for non-unicode characters, and 5 messages for unicode characters. Is there a character limit for string variables in Architect email flows? Is there a size limit for transferring files with ACD Messaging? Yes, when transferring files to other messaging platforms, PureCloud restricts inbound and outbound file sizes to 10 MB. Individual messaging platforms, such as Facebook Messenger, may have a different file size limitation, which could impact the ability for messages to be received by PureCloud or received by end customers when sent from PureCloud. Is there a surcharge for a short duration call? Yes, but a minimum of 100 calls have to be made during a monthly billing cycle before the short duration surcharges take effect. After 100 calls, if 15% or more of the calls are short duration calls, then those calls are assessed a short duration surcharge at the prevailing rate. A customer has a total of 100 outbound completed calls in a billing cycle. Of the 100 completed calls, 10 are short duration calls. In this case, the customer invoice does not include a surcharge for short duration calls because only 10% of the calls were of short duration. A customer has a total of 100 outbound completed calls in a billing cycle. Of the 100 completed calls, 20 are short duration calls. In this case, the customer invoice does include a surcharge for short duration calls because more than 15% of the calls were of short duration. Is there a timeout for location data? Your last reported location times out after an hour. If, for example, you log out of Collaborate or turn off your computer or phone, after an hour your location is removed from the presence and status display in your profile and other locations in Collaborate. Is there a way to determine which interactions included a co-browse session? The easiest way to determine whether an interaction included a co-browse session is through the Interactions View. With the required permissions, you can add a Co-browse column that shows whether a specified interaction included a co-browse session. To add a Co-browse column to your Interactions view, in the upper right, click and select the Co-browse check box. Alternatively, to filter the interactions list to include only interactions that included a co-browse session, click and select the Co-browse check box. For more information, see Interactions view. Note: This information applies to other columns and filters, as well. Is there a way to determine which interactions included a screen share session? The easiest way to determine whether an interaction included a screen share session is through the Interactions View. With the required permissions, you can add a Screen share column that shows whether a specified interaction included a screen share session. To add a Screen share column to your Interactions view, in the upper right, click and select the Screen share check box. Alternatively, to filter the interactions list to include only interactions that included a Screen share session, click and select the Screen share check box. Is there a way to edit voice call prompts? For information on editing user and system prompts, see About prompts. Is there a way to see reports that other users create? No. You can see only the reports that you create. Is there a way to set the country code for telephone numbers during a bulk CSV import of external contacts? When entering phone numbers, use the full E.164 phone number, which includes the country code. If you enter no country code, PureCloud uses the US as the default. When a supervisor has access to the Queue Activity view, they see all users in that queue even if the user belongs to a different division. Although the supervisor cannot open details for users in a different division, the users’ queue membership, presence, and conversation details appear in the Queue Activity view. You may have lost access to the objects you select for the report. Ensure that you have appropriate access to the division and that you set up report parameters properly. Outbound dialing services are momentarily unavailable. What should I do? This message indicates that a back-end service is at capacity, meaning that a resource was too busy to complete a request made by the dialer service or contact-list service. PureCloud is designed to automatically deploy additional resources when needed. Since this condition is temporary, subsequent requests are likely to succeed. Wait a few seconds. Then retry the URL from the address bar or click the refresh button in your browser. Access control does not limit transfer targets for transfers. An agent or supervisor can always look up an individual or queue, regardless of division, to transfer a conversation. The campaigns dashboard is a real-time view of all campaigns currently in an active state. The campaign dashboard statistics reflect a current campaign run. If the campaign recycles, the statistics reset, with the exception of the Abandon Rate statistics. For more information, see Campaigns dashboard page. What are ACD email message and attachment size limits? You can send and receive messages in PureCloud, including attachments, up to 10 MB. Messages exceeding 10 MB, including attachments, will bounce back to the sender. Messages larger than 10 MB that you try to send from PureCloud will yield an error. You can work around this limitation by including links to larger documents stored in PureCloud Documents. For more information about sharing a file within Documents, see About Documents and Share a file. What are SMS pricing rate classes? Rate classes are the way that PureCloud categorizes SMS pricing. More specifically, instead of assigning each country a part for both inbound and outbound, we use rate classes. As such, countries that have the same pricing are grouped into the same rate classes. For example, countries that have pricing of .02 for outbound messages all have rate class C and that part/rate class is used for billing on the invoice for those countries. Continuing with this example, Andorra, Belize, Faroe Islands, Gambia, Gibraltar, Luxembourg and Maldives all have a rate class C. So, if a customer sends outbound SMS messages to any of those countries, then it will show up as one line item on the invoice as Rate Class C and will include the count of all messages to any of those countries. For SMS pricing details, see ACD messaging and SMS pricing. PureCloud BYOC Cloud Trunks will connect between the third-party target and the Edge/Media resources in the AWS Region an Org is based out of. Please consider connection quality and potential latency when planning for BYOC Cloud use. BYOC Cloud only supports UDP and TCP connections at this time. Support for TLS is planned. What are the orange lines in chats and how do I remove them? This line shows which messages are unread based on when the room or PureCloud was out of focus. Respond to the conversation with a new message. Click the conversation starting point bar. For plain-text canned responses you can include up to 4,000 characters. Workspaces are places where you store your documents, or files. You have one personal workspace, called My Workspace. You may also belong to multiple group workspace. For more information, see What is My workspace? What can a BYOC Cloud trunk connect to? A BYOC Cloud trunk can connect to any SIP-compliant carrier or device which can be reached by a public IP address over the Internet. This could be a cloud-based carrier, a cloud based IP-PBX, or a premise device exposed through a firewall. You can upload any type of file to PureCloud Documents. The maximum file size is 2G. For more information, see About supported file types. What do NRC and MRC mean? These acronyms appear in the tables that list the PureCloud Voice number purchase and inbound usage charges. NRC stands for a Non-recurring charge, which is basically a one-time charge. MRC stands for a Monthly recurring charge. What do on-net and off-net mean? What do the empty boxes before an activity represent? An activity with a flexible start time is represented by outlined increments that precede the current start time. What do the timers in an interaction mean? The amount of time the agent has been in After Call Work (ACW). The amount of time remaining for the agent to complete ACW. What does a badge on an icon mean? A badge, or visual alert, on an icon, such as Calls, Chat, Inbox, and others means that a new item is waiting. A chat room can have a maximum of 1000 participants. If a group chat room has 1000 participants, then PureCloud considers it full, and you can only browse the group chat’s history. You cannot join the chat, post messages, or search chat history until other users leave the chat room. Note: You cannot delete participants from a PureCloud chat room. In this situation, you need to create a new chatroom with the selected individuals. When an agent declines or does not answer an interaction within a certain amount of time, PureCloud places the agent into Not Responding status. While Not Responding, the agent does not receive new interactions. Declined or not answered interactions reenter the queue. The lock icon next to an activity indicates that the activity is marked “Not relative to shift start.” The activity is not dependent upon the shift’s start time. For more information, see Set up shift activities. The currency icon with a slash next to an activity indicates that it is an unpaid activity. For more information, see Set up shift activities. The star icon (Favorites) enables you to choose people and groups in your organization who should appear on your Favorites list. For more information, see Add Favorites. What file size can I expect for screen recordings? Screen recording file size ranges from 3 MB/15 mins to 18 MB/15 mins. The low recommendation is based on a low resolution monitor with little screen movement. The high recommendation is based on a high resolution monitor with a lot of screen movement, like video. PureCloud uses Helvetica Neue as the default font for all text, but will fall back to Helvetica, Arial, or sans-serif if Helvetica Neue is not present on your computer. PureCloud uses Lato for headers. What happens if a metered evaluation policy matches more interactions than it is set to evaluate? PureCloud does not assign evaluations for the extra interactions. For example, imagine that you create a policy that matches inbound calls and that also assigns 50 metered evaluations per day. If you receive 300 inbound calls in a day, then only 50 of them are assigned for evaluation. The remaining 250 are no longer eligible for evaluation, unless they match a different policy. The next day, the count starts over with new interactions received that day. The non-evaluated interactions from the previous day do not roll over. The agent must manually reschedule the callback for another time. For more information, see Schedule callbacks during a voice interaction and Schedule a callback in a script. What happens when the user flags the call? Can I as an administrator see the flag in reports? Or is it just information for Genesys? In Performance > Interactions, PureCloud Supervisors can see that an agent or business user flagged a call as problematic. Flagged is one of several columns that PureCloud supervisors can add to that view. In this view you can see which calls a user flagged as problematic, but any further details are only available to PureCloud engineers. What if I don’t want to share my location? If you choose not to share your location or turn off location services in your browser or mobile phone, Collaborate does not display your location information. Other users’ location information is still displayed. PureCloud can transform the calling and called party numbers sent on an outbound call into an acceptable format for carriers that do not accept E.164. For more information, see Transform the outbound address with regular expressions. What if the Resource Center does not display correctly? If the Resource Center’s navigation or features do not display correctly, clear your web browser’s cache and reload the page. Clearing the cache allows the page to reset and display correctly. If the page still does not load correctly, please fill out the feedback located at the bottom of each page. What IP addresses does BYOC Cloud use for media? BYOC Cloud uses a variety of IP addresses for media. For a list of specific IP addresses, see the Domains and IP Addresses section of the Ports and services to configure on your company firewall article. What is a BYOC Cloud trunk? A PureCloud BYOC Cloud trunk is a customer-defined SIP Trunk between PureCloud AWS-based Edge & Media Tier and a third-party system over the public Internet. The PureCloud Softphone is a software-based phone that requires Microsoft Windows. There is a separate software package to download and install before you can begin to use the phone to make and receive calls. For more information, see About PureCloud Softphone. Within PureCloud, we also provide the PureCloud WebRTC phone. Our PureCloud WebRTC phone is different from our PureCloud Softphone in that it runs right from your browser. There is no additional software to download or install. You simply enable a web-based phone and you can immediately use it to make and receive calls. The PureCloud WebRTC phone runs right from your browser. There is no additional software to download or install. You simply enable the PureCloud WebRTC phone and you can immediately use it to make and receive calls. For more information, see Set up PureCloud WebRTC phones. The PureCloud Softphone is different from the PureCloud WebRTC phone. It is a Windows-only software-based phone. It requires a separate software package to download and install before you can begin to use the phone to make and receive calls. What is a short duration call? Any customer-originated outbound US domestic completed call that is equal to or fewer than 6 seconds in total duration is defined as a short duration call. An Edge group is a set of Edge devices that are directly connected to one another over a high-bandwidth and low-latency network. The purpose of an Edge group is to allow all Edges in the group to access and share trunks connected to other Edges in the Edge group. BYOC Premises: You can define SIP Trunks between premises-based Edge hardware devices and third-party systems. BYOC Cloud: You can define SIP Trunks between PureCloud Media Tier resources in AWS and third-party systems over the public Internet. The Activity Stream shows a list of all of the notifications and messages you receive while logged on to PureCloud. You can use it to check recent activity, and see when someone sent you a chat message, left a voicemail message, or called you. Group chat rooms appear under Official Groups and include anyone who is a member of a group and any non-members who want to chat with or monitor the room (if the group is public). Only admins or group owners can add or remove members from groups. Personal chat rooms appear under Personal Groups and only include people invited by the room creator or by other participants. Anyone can create personal chat rooms, and they are not connected to groups. For more on how to create a personal chat room, see Create a chat room. What is the difference between a user recording and a policy-based recording? Users can manually start recording business calls, PureCloud delivers the recording to that user’s personal inbox and workspace. A policy-based recording occurs as the result of a quality policy. Policy-based recordings are attached to the conversation and appear in the Interaction Details view. Users with appropriate roles, such as supervisors and quality evaluators, can view policy-based recordings. Answered and handle measure two different actions during an interaction. Answered counts how times an agent was the first to accept an interaction. Handle counts how many interactions an agent was involved in. Handle includes answered interactions, transfers, callbacks, and outbound calls. For example, Agent A is the first to accept an incoming call. Agent A talks to the customer and transfers the call to Agent B, who also talks to the customer and completes the interaction. For that interaction, Agent A has one answered and one handle, and Agent B has zero answered and one handle. Answered and handle also differ in when PureCloud count them. Answered counts in the interval when the agent connects to the interaction. Handle counts in the interval when the interaction ends. For example, an agent answers a call at 10:25 AM and ends the call at 10:45 AM. The answered metric for the agent and interaction would count in the 10:00 AM interval. The handle metric would count in the 10:30 interval. What is the format of downloaded screen recordings? Screen recordings use the WebM format. You can use any media player that plays back WebM files. What is the location display for international locations? What is the maximum prompt file size? The maximum prompt file size is 25 MB. What is the PureCloud Voice billing increment for Canada inbound/outbound/toll-free usage charges? The billing increment is 6 seconds. What is the PureCloud Voice billing increment for UK? What is the PureCloud Voice billing increment for US and Canada usage charges? What is the PureCloud Voice billing minimum for Canada inbound toll-free usage charges? The billing minimum is 30 seconds. Within Canada (On-Net) the billing minimum is 6 seconds. Within Canada (Off-Net) the billing minimum is 6 seconds. For calls that cannot be clearly identified as belonging to a specific category, the billing minimum is 30 seconds. For more information, see What do on-net and off-net mean? For the contiguous US, the billing minimum is 6 seconds. For everywhere else, the billing minimum is 30 seconds. What is the PureCloud Voice billing minimum for UK inbound/outbound/inbound toll-free usage charges? The billing minimum for the UK is 30 seconds. What is the PureCloud Voice billing minimum for US and Canada inbound toll-free usage charges? For Canada, the billing minimum is 30 seconds. For everywhere else, the billing minimum is 6 seconds. What is the PureCloud Voice billing minimum for US and Canada inbound/outbound usage charges? What is the screen recording frame rate? What is the Zendesk Screen Pop Connector? The Zendesk Screen Pop Connector integrates Zendesk with PureConnect, not PureCloud. The connector allows the creation of screen pops based on caller information. For details, see Zendesk Screen Pop Connector in the PureConnect Resource Center. You can store nearly every type of file in your Documents repository. For more information, see About supported file types. What licenses do I need for External Contacts? You automatically get the basic External Contacts feature with with any PureCloud user license, including the free license. SalesForce integration requires a PureCloud 1 license. Interaction History requires a PureCloud 3 license. Some permissions are not associated with any default roles in PureCloud. For a complete list of permissions not assigned to a role by default, see the unassigned tab in the Products, roles, and permissions list. If you want your users to have these permissions, add the permission to a default or user-added role and assign the role to the users you want to have the permission. What ports does screen recording require? For more information about screen recording ports, see Ports and services to configure on your company firewall. What public IP addresses does PureCloud use? PureCloud uses public IP addresses provided by Amazon. These public IP addresses change frequently. For more information, see Ports and services to configure on your company firewall. What PureCloud license do I need to find, view, and verify a contact’s profile? You need a PureCloud 2 or higher license to find, view, and verify a contact’s profile. What scenarios cause an interaction to have an inbound/outbound direction in reports and views? The following examples would cause an interaction to have an inbound/outbound direction on reports and views. This list does not contain every possible scenario. What should I do when I remove a physical phone from PureCloud? When a physical phone is provisioned and registered in a PureCloud organization, certain configuration details, such as the Line Appearance ID, are stored in PureCloud and on the phone itself. If you later remove/replace the physical phone and do not intend to reuse it in your PureCloud organization, you should perform a factory reset on the phone. Doing so will prevent potential Line Appearance ID conflicts should the phone ever be inadvertently reconnected. Script templates are entire scripts that have been packaged for reuse. When you create a new script, you may select a script template. See Templates page. Component templates contain one or more visual components (text boxes, images, buttons, and so on) that you can insert into a script page. See Insert components from a template. When setting up a location for PureCloud Voice, how can I tell if the number I specify as the Emergency Number is emergency services capable? You can determine if a PureCloud Voice number is emergency services capable by accessing the PureCloud Voice Number Management page and making sure that the Emergency Capable column for that number contains a green check mark. When we click View in Salesforce on the Call Log window, why does the page sometimes refresh and sometimes not refresh? This behavior varies depending on if you are in Sales or Service Mode in Salesforce. In Sales Mode, clicking View in Salesforce on the Call Log window causes the webpage to reload. The integration transfers data in the Call Load window to the Salesforce page. In Service Mode, if the Task tab is already open, the integration does not reload the tab when you click View in Salesforce. If you have the correct permissions, you can download recordings one at a time from PureCloud. The download location depends on your operating system and which browser or desktop app you’re using. If you are using a computer managed by your company, your operating system or web-browser configuration could also affect the download location. If you are using the PureCloud web app, then check to make sure that your web browser allows pop-ups from PureCloud. If you are using the PureCloud web app, then do an Internet search for your “web browser + downloads” to find out where your web browser stores downloads and whether you can set the location. If you are using the PureCloud desktop app, look for another dialog box that appears outside PureCloud. That window contains the name of the download, which you can click to open it and find its file system location. It is possible that the download window popped up behind PureCloud. You can also change your default download location. PureCloud developer tools are documented in the PureCloud Developer Center. This site is for developers, partners, and anyone interested in interfacing directly to PureCloud from their favorite language. Inserting records into a dialer call list and starting the campaign. Creating a campaign that can be run to place outbound calls. 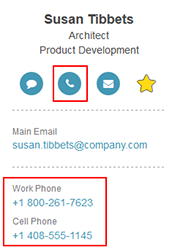 Creating a contact list for use with outbound dialing campaigns. Uploading contacts to an existing outbound dialing contact list. The Developer Center is updated frequently, so check back often. You can download and learn more about the PureCloud desktop app in the Desktop app article. You can also access PureCloud by going to the web app from a web browser. For more information about the web app, see the Web app article. You can download the PureCloud apps for iOS and Android devices from the Mobile apps article. PureCloud has two apps for mobile devices: Collaborate and Documents. Search for and communicate with other users in the Collaborate app, and Access files stored in PureCloud with the Documents app. Where can I find a list of future PureCloud features or a feature roadmap? For a list of features expected to be available in the next weekly PureCloud release, see the Features coming soon page. 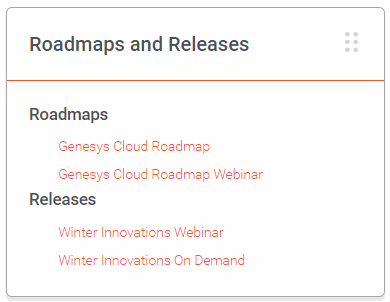 Genesys hosts PureCloud webinars for customers that provide quarterly feature roadmaps and detailed product updates. Invitations to the webinars are sent to Genesys customers and partners. If you are a Genesys customer and need an invitation, contact your Customer Success Manager (CSM). Information on roadmap webinars are available on the Genesys Knowledge Network under the Roadmaps and Releases tile. If you do not see the Roadmaps and Releases tile, you need to log into the Genesys Knowledge Network. You can see all the publicly available information without a login, but addition information, such as the Roadmaps and Releases tile, is available to customers and partners. To obtain an account, see the Get Started link under the Sign in section. To see details about a fax, such as the number you sent the fax to and when the fax was sent, go to the fax’s file in Documents and view the audit trail for the file. PureCloud Documents stores any faxes you send or receive as files in your workspace. Search for the file to find your fax. You can also view received faxes in your inbox. Where can I find the External Contacts sample CSV bulk import file? PureCloud provides a sample CSV file to help you format the information properly for your external contacts and organizations. To ensure the file is always up to date, the sample CSV file resides in PureCloud. Use these steps to download the file. For PureCloud feature licensing information, see the PureCloud Pricing Guide on the Genesys corporate site. Scroll down to Compare plans, and then click to expand the feature that you want to learn more about. Where do I find PureCloud training? PureCloud training is located at https://training.mypurecloud.com/. When you upload a document to PureCloud, it is securely stored in our cloud. This allows you to access the document from any computer and mobile device that you use to connect to PureCloud. Which additional roles do contact center agents and supervisors need? Contact center agents and supervisors need extra roles assigned to them so they can see the features they need to complete their work. Agents need the agent role in addition to the PureCloud User role. Contact center supervisors need the supervisor role in addition to the PureCloud Supervisor role. Which address is being used for a call to Emergency Services? That depends on where your organization is located. If the number is assigned to a User with a phone or a Standalone Phone, the address will be the location associated with that phone’s Site. If the number is assigned as an ELIN, the address will be the location to which it is assigned as the ELIN unless it is also assigned to a User or IVR. Assignments always override ELIN association, so you should not assign a number used as an ELIN to anything in a different location than the one for which it is ELIN. If the number is not assigned to a User/IVR or as an ELIN, the address of the Default Site will be used. In EMEA, the address of the Location assigned to the number at purchase or via the PureCloud Voice Number Management page. Which Salesforce API does PureCloud for Salesforce use? PureCloud for Salesforce is based on the Salesforce Open CTI APIs, which is what Salesforce currently supports. The CTI Toolkit has reached end of support with Salesforce and is not used with the integration. You can share files with anyone, including PureCloud groups and people who are not PureCloud users. For more information, see Sharing files and Share a file. You are the only person who can see documents in your personal workspace. Even PureCloud Administrators cannot access your personal workspace. All of the documents in a group workspace can be seen by any member of that workspace. Why am I having difficulty re-provisioning my phone using the global phone provisioning service? The global phone provisioning service creates a 1:1 association between the phone’s MAC address and a customer’s PureCloud organization. As such, the phone cannot simultaneously exist in more than one PureCloud organization. More specifically, the global phone provisioning service may not find your phone if the MAC address exists in another PureCloud organization. If you need to re-provision a phone in a new PureCloud organization using the global phone provisioning service, you must first remove the phone from the existing PureCloud organization. Why are calls from users with only extensions being blocked in PureCloud Voice? Calls from PureCloud Voice must have a valid number associated with them. If a user has an extension but no DID number assigned to them in their profile and a fallback outbound calling address is not defined in the trunk settings, outbound calls can fail. For more information, see Set the outbound calling address. Call recording requires that Line Recording is enabled on the SIP trunk by a telephony admin. Complete the Enable line recording on the trunk procedure. Turn on auto-answer for agents and use persistent connection with Polycom and WebRTC phones. Make sure that there are no hardware or headset issues with agents’ phones. For more information, see How PureCloud delivers outbound calls to agents. Click Admin > People and Permissions. Check General > Unified Communications. For more about permissions, see About People and Permissions and Products, roles, and permissions list. Authorize the parent social account. Turn streaming on for the parent social account. Turn streaming on for the listener. Add agents to the queue associated with the listener. Tell agents to join the queue associated with the listener. Note: A filter’s preview sample uses historical data, but routing uses live data. For this reason, preview results are not routed to agents. For more information, see About social channel streaming. If agents still don’t receive social expressions, check your listener filters. Some filters may be too narrow to match any social expressions. You must be a member of owners-only or members-only PureCloud groups to administer chat notifications (webhooks) to those groups. If you are not a member of those groups, you won’t find them when you attempt to specify the Chat Target in the PureCloud configuration. Ask the owners of those groups to add you as a member and then remove you when the configuration is completed. Note: You can administer notifications to public groups without being a member. Why can’t I republish a user prompt after I update it? Ensure you have the Architect > Flow > Publish assigned to your user role. This permission is required to republish an updated prompt. Why can’t I see Documents? In order to see Documents, you must have the Employee role or any role with the Content Management User permission. Contact your administrator for assistance. Be sure your app is fully configured. In some cases, you must configure the app as a custom client app. For more information about completing this configuration, see About Custom Client Application integrations. Why can’t I see the group workspace I need? In order to see a group workspace, you must be added as a member of it. If you don’t see the group workspace you want, ask your admin to add you as a member to that group workspace. Automatic speech recognition (ASR) is enabled by default for the starting menu of new call flows. If no ASR terms are defined on the starting menu, the system can disconnect the caller. To prevent unintentionally disconnecting callers, define valid ASR terms for the menu options or override ASR for the call flow. See Basic steps to design a flow and Set up the starting menu. If you use your own MAIL FROM domain, you must meet Amazon SES specifications as outlined under the Choosing a MAIL FROM Domain section of Using a Custom MAIL FROM Domain with Amazon SES in the Amazon Simple Email Service Developer Guide. For more information about adding a custom MAIL FROM domain, see Set up custom MAIL FROM configuration. Why do I have problems when I log in to PureCloud multiple times at the same time? Currently PureCloud does not support logging in to the same PureCloud account multiple times simultaneously. Multiple simultaneous logins include: the same account logged in to web app on multiple tabs or browsers, the same account logged in to the desktop app and in web app, or the same account logged in on different computers at the same time. You can log in to the desktop or web app and the mobile apps and PureCloud embedded clients at the same time since they are separate clients. Multiple simultaneous logins can cause problems including unsuccessful phone interactions, missed notifications, views not refreshing automatically, and other inconsistent behavior. Problems occur partly because each client has a limited number of notification channels for these events. More than one login can cause a notification channel to close. For more information about notification channels, see Use the notification service in the Developer Center. Since problems can occur without you noticing them, developers added a notification that says “You are no longer connected.” If you see this notification, close the other instances of PureCloud and refresh the app. In the future, developers plan to remove the resource constraint so that the notification channels are no longer limited in this way. Users in HIPAA organizations are logged out of PureCloud when their browsing session expires. Users are directed to the PureCloud login page and must re-enter their credentials. If users are on a call when the browsing session expires, the call is not interrupted. When the call completes, users are directed to the PureCloud login page and must re-enter their credentials. Users in non-HIPAA organizations are automatically re-authenticated when their browsing session expires. The re-authentication process causes PureCloud to reload. Users are returned to the page they were on when the browsing session expired. If users are on a call when the browsing session expires, the call is not interrupted. Users can choose to re-authenticate automatically after the call ends. You don’t have the user permissions. PureCloud features are role-based, meaning that an administrator must assign you a certain role before you can access certain features. For more about permissions, see About People and Permissions and Products, roles, and permissions list. You don’t have the license. Licenses for Collaborate, Communicate, and PureCloud 1, 2, and 3 all provide different features. The features available to you depend on what has been purchased for your organization. The feature is not released yet. PureCloud adds new features and enhancements every week. In anticipation of updates, the Resource Center can mention features that PureCloud does not have yet but will have very soon. For more information, see Features coming soon and Continuous delivery model. PureCloud mobile apps continue to push notifications unless you log out of PureCloud. Closing the app does not automatically log you out. To prevent interruptions, PureCloud sends your calls to voicemail if you are in any of the following statuses: Busy, Break, Meal, Meeting, Training, Out of Office, or Offline. If you are an agent, On Queue, and completing a voice interaction, PureCloud can also send incoming non-interaction calls straight to voicemail, depending on how your administrator has configured agent utilization. For more information about statuses and their effects, see Presence, status and activity indicators or Agent presence, status, and activity indicators. Why do sender IDs change in international SMS messages? When crossing an international border, the SMS message’s sender ID may change. The Sender ID is controlled by the carrier, who’s priority is to ensure messages are delivered to their intended destination. Carriers may change the sender ID for outgoing SMS messages to improve deliverability. If the carrier changes the sender ID, any responses from the customer to the altered sender ID will not be received. The best way to preserve the original sender ID is to provision numbers from the same country of the recipient for which you intend to send messages. The data in the Interactions view, Dialer Campaign Detailed Attempt History report, and Outbound Campaign: Detailed Attempt History report may show different data for the same interactions due to the way each view or report represents data. For example, the Interactions view shows data for the entire interaction on a single row, while the Dialer Campaign Detailed Attempt History report shows data for each segment of the interaction on different rows. The Outbound Campaign: Detailed Attempt History report’s data is incomplete because it does not represent all of the campaign attempts, so we recommend using the Dialer Campaign Detailed Attempt History report instead. There is a rate limit of 10 webhook notifications per second. If you are seeing some notifications but not others, try narrowing the focus of the webhook mappings by adding more filters. Why does a flow I imported from another org shows validation errors? Importing a flow from an outside organization may require some configuration updates; even if you have items such as data actions with similar names. This issue may occur because the back end GUID does not match, and subsequently the actions are not automatically picked up in the new org. Until you update any configuration issues, Architect returns validation errors in the flow. Why does my location sometimes display incorrectly? This may occur when the browser API returns an approximate location for the latitude and longitude coordinates provided for your location, for example, when using a device that does not have GPS, or when the Open Street Map data is inaccurate. Why does the Offered metric not always equal the Answered plus Abandoned metrics? Flow-outs and PureCloud’s method of tracking metric statistics could cause the Offered metric not to equal the Answered plus Abandoned metrics. Offered interactions are either answered, abandoned, or flow-out interactions. Flow-outs are interactions that enter and leave a queue without getting answered by an agent or disconnected. They can include transfers to voicemail, callbacks, and any system-driven events such as in-queue flows that transfer to another queue or external party after a certain amount of time. Flow-outs can also occur if the caller opts to exit out of the queue and return to the IVR. Offered interactions are either answered, abandoned, or flow-out interactions. PureCloud tracks metric statistics in 30-minute intervals. An interaction could span multiple intervals. If an interaction enters a queue in one interval but is not answered or abandoned until the next interval, then PureCloud counts the interaction as Offered in one interval and as Answered or Abandoned in the next interval. For example, a call comes in to a queue at 7:28 and an agent answers the call at 7:32. PureCloud adds the call to the Offered metric for the 7:00-7:30 interval but adds the agent’s answer to the Answered metric for the 7:30-8:00 interval. Why does the Session Description Protocol provide media IP addresses which are different from the signaling IP addresses? Call signaling and media are handled by separate services for resiliency and scaling purposes. PureCloud’s media services are autoscaling microservice instances, which are instantiated or removed as needed based on platform load. These instances draw IP addresses from a large pool of public addresses in AWS. For more information, see the Domains and IP Addresses section of the Ports and services to configure on your company firewall article. Why doesn’t the Calling Party Name that I configure for a queue show up for the call recipient? Why doesn’t the Email button work? You must have a default email application selected on your computer to use the Email button. If you do not know how to select default applications for your operating system, ask your IT department. There was problem logging you in. Please check your email address and password and try again. After six unsuccessful consecutive login attempts, PureCloud temporarily locks your account. You can try to log in again after five minutes. You typed your email address and/or password incorrectly. If your administrator set a password expiration policy, your password may have expired. Reset your password. See Set your password in Log in for the first time. Contact your administrator to reset your credentials. If the user has both a DID number and extension, the DID number and extension are entered as different phones in the user’s Contact Information section in their profile. The DID number and extensions are considered different numbers and cannot be entered as the same phone. See Set your contact options. The DID number and extension are listed and defined in the DID or extension pools. The user has the proper license type, roles, and permissions. See Check a user’s permissions. Why is an email routed from a queue to an agent no longer in that queue? For emails, PureCloud routes the interaction to the previous agent if the agent is on-queue, even if the agent is no longer activate in the queue from which the email routed. A customer sends an email to the Technical Support queue. ACD email routes the email to Agent A in the Technical Support queue. Agent A replies to the original email. Agent A moves from the Technical Support queue and into the Escalated Support queue. The customer responds to Agent A’s reply. Agent A, while in the Escalated Support queue, receives the email from the Technical Support queue. Why is my Bridge Server disconnecting every 10 minutes? The Bridge Server uses long-lived secure WebSocket connections for bi-directional communication with PureCloud. Configure your web proxy to allow these connections. For the client to appear in Salesforce Lightning, change a few settings in Salesforce and create a component for the client. Set up your Lightning apps to use the Salesforce SoftPhone. In Lightning, the client appears as a component, or Lightning app, accessible from the bottom of your browser window. Follow the Lightning apps setup at Salesforce Lightning Experience. Add URLs to the definition files. The managed package installed for PureCloud for Salesforce includes definition files for both PureCloud for Salesforce Classic and PureCloud for Salesforce Lightning. Make sure the URL for PureCloud for Salesforce Lightning points to the correct URL. Search for and then click Call Centers. The All Call Centers page appears. Next to PureCloud for Salesforce Lightning, click Edit. Update CTI Adapter URL with https://apps.mypurecloud.com/crm/index.html?crm=salesforce. Associate your user with PureCloud for Salesforce Lightning. Under your user name at the top of the page, click Settings. Next to Call Center, click the Lookup icon. Select PureCloud for Salesforce Lightning. Tip: If PureCloud for Salesforce Lightning does not appear in the Search Results, delete the text in the Search box and click Go! The Search Results update with PureCloud for Salesforce Lightning. Access the client through a Lightning app. Click the App Launcher icon at the top of the page. Select the Lightning app, such as Sales, for which you created a phone component (step 1). A Phone component appears in the bottom of the page. The client is now visible in Lightning. Will BYOC support inbound trunk redundancy and failover? BYOC allows customers to define multiple trunks, potentially to more than one carrier. Should a carrier or trunk experience an outage, calls inbound on these trunks would fail. The remaining trunks would continue to route calls in to PureCloud. However, many carriers support carrier-level failover, which you can leverage to redirect calls to alternate trunks. A PureCloud BYOC trunk allows for multiple destination SIP servers or proxies, which provides failover within an individual trunk. Also, when you create an outbound route, you can add multiple usable trunks, which provide trunk-to-trunk failover. For more information, see Create an outbound route. Yes. If the site is configured with the default numbering plans, the Edge will accept the number and then normalize it to the E.164 number format (with the ‘+’).